In the latest webisode from the Iced Earth camp, the band are in Munich, Germany wrapping up their European tour. Iced Earth will kick off a U.S. tour with Symphony X in January. 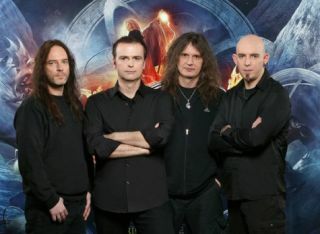 Blind Guardian Invite Fans to Join in Re-Recording "The Bard's Song"
After tragedy struck Japan back in March when a devastating earthquake and tsunami left the country in shambles, EMI Music launched a program to help victims of the natural disasters in Japan. German power metal band Blind Guardian have issued an update on the progress of their long-awaited orchestral album.